At Beyond Expeditions we strongly believe in authenticity. As our name suggests, our trips go beyond simple backcountry tours; they are a complete immersive experience in Yukon’s wilderness and traditions. Our routes cover new ground each day, and access rarely visited and stunningly beautiful landscapes. Our groups are limited to a maximum of three guests, and we believe in using dog power exclusively. Travelling this way creates a close relationship of trust and interdependence; you depend on your dogs to travel, and they depend on you for food and direction. We take a practical approach to our equipment, making use of both traditional and modern technologies for a safe, simple, and dependable outfit. 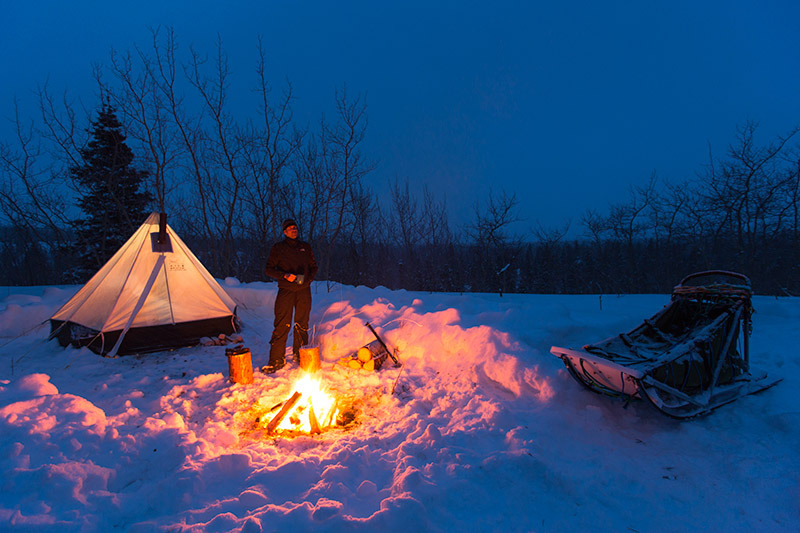 We use traditional canvas pyramid tents with lightweight packable stoves, and provide high-quality modular sleeping bags, comfortable cots, and warm sleeping pads. 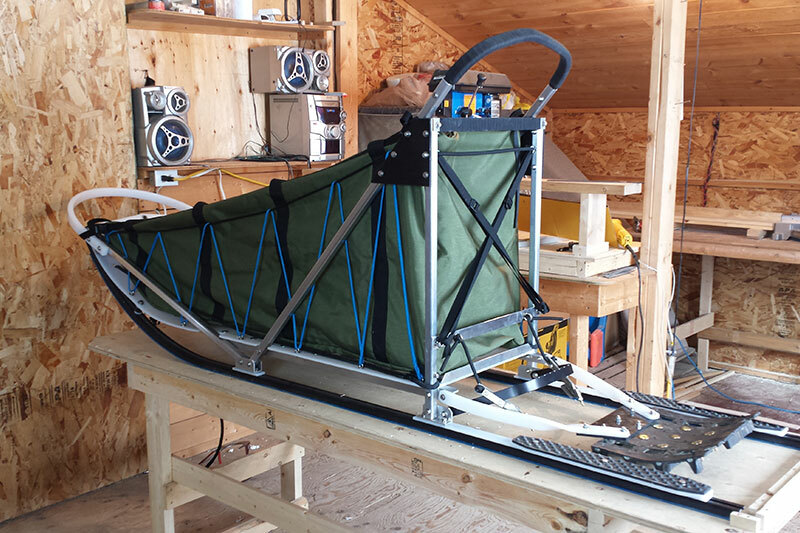 Our sleds are custom-built in our own workshop to be tough, lightweight, and easy to handle. Pierre-Luc is the lead guide at Beyond Expeditions and manages field operations. Exploring is what drives his life. Originally from a small town in eastern Quebec, he grew up loving snow and winter. A fascination with landscape eventually led Pierre to a bachelor’s degree in Physical Geography and a master’s in Earth Sciences. 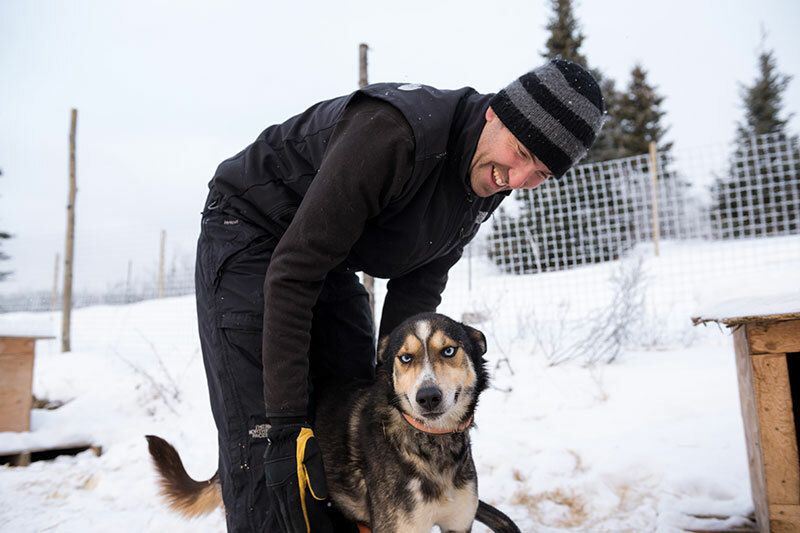 He became a musher after moving to the Yukon in 2011, where he was blown away the endless possibilities of the landscape and the incredible abilities of sled dogs. These two things inspired him to eventually leave his career as a geomorphologist and move full-time into guiding. With his two years experience as a professional cook, adaptability, and natural ability to navigate the land, Pierre is a natural. 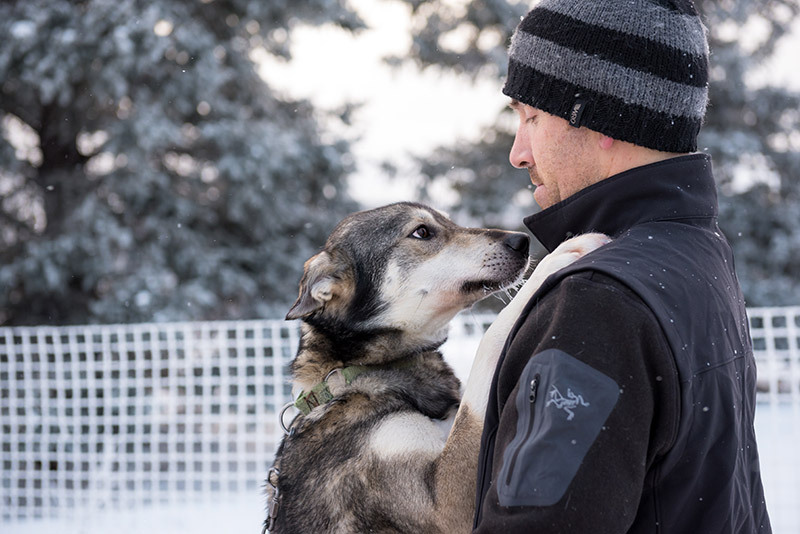 He has been guiding dog sled trips for seven years, in addition to personal extended trips. Pierre has made enough expeditions to gain the experience and know-how to guarantee successful, comfortable trips. 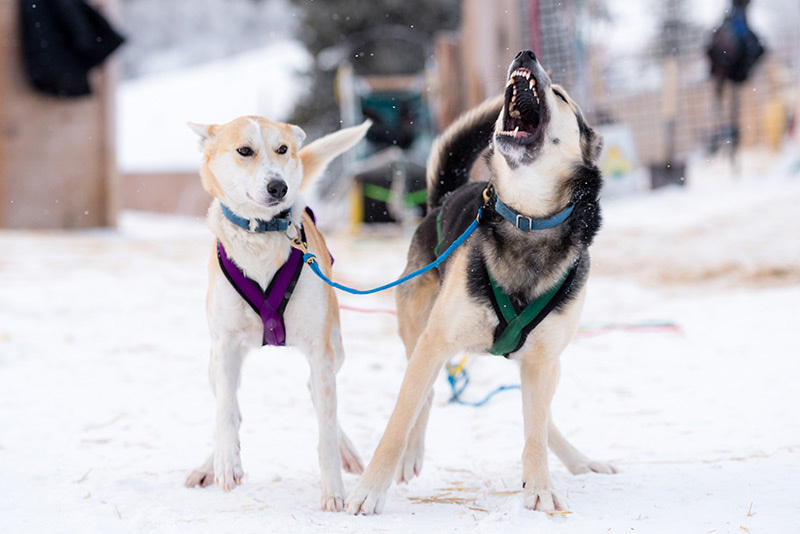 Beyond Expeditions brings their guiding and mushing to another level. 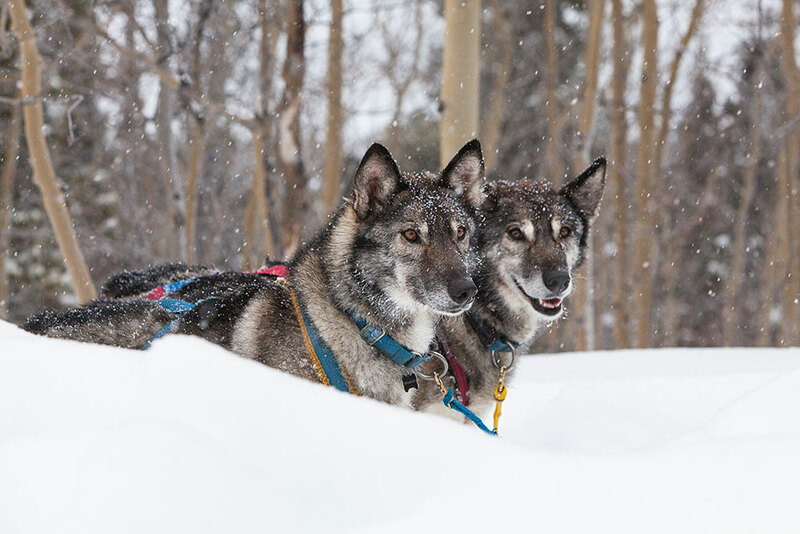 Our dogs are much more than just transportation—they are motivated companions who love being on the trail as much as we do. 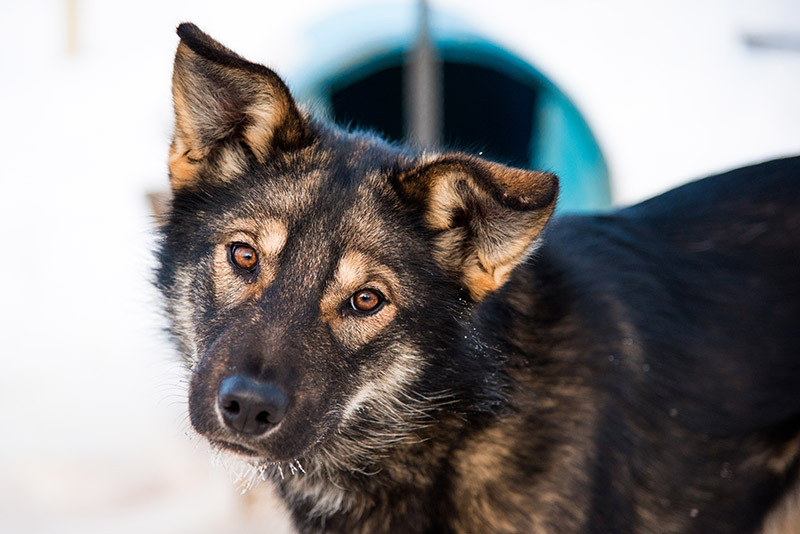 We’ve bred our teams to be especially suited to long distance travel, mixing racing bloodlines with traditional working dog breeds for special characteristics: warm and thick fur, long legs, friendliness, stamina, enthusiasm, and tough paws. 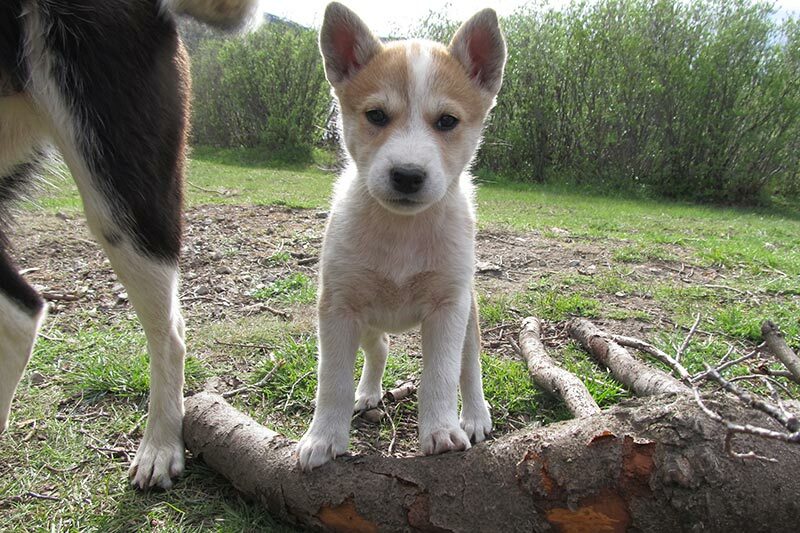 We provide all our dogs with top-quality food and ensure they are well trained and socialized. Most we have raised from pups, building a close connection with each one. Our dog are real family members and we’re proud to share them with you. Follow us on Facebook to learn more about our dogs and adventures.